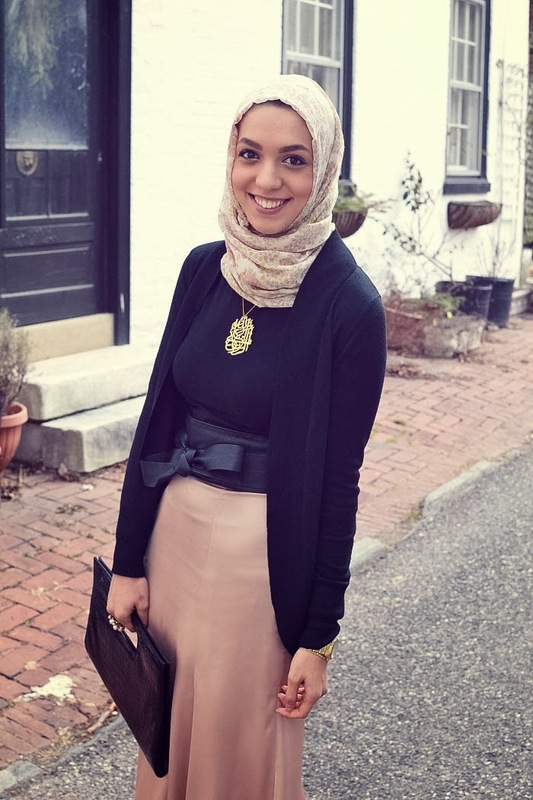 I fell in love with this beautiful haute hijab satin skirt as soon as I saw it. It's perfect for hijabis because it's not tight and is still flattering and flowly. The color options are also to die for as blush colors are totally in right now. Make your way to the Haute Hijab website linked above to get your hands on one of these skirts before they're gone! The skirt is sooo cute! I absolutely love the bow on it! !